4 boys go in search of a corpse because that isn’t creepy at all, and they find a much deeper bond of friendship along the way… and eventually a corpse. This our second trek into the King anthology book Different Seasons, the previous one being “Shawshank Redemption”. “Apt Pupil” may follow sometime this year, although after the recent Bryan Singer stuff in the news, I might leave that one aside. It’s interesting that these stories came out in 1982. 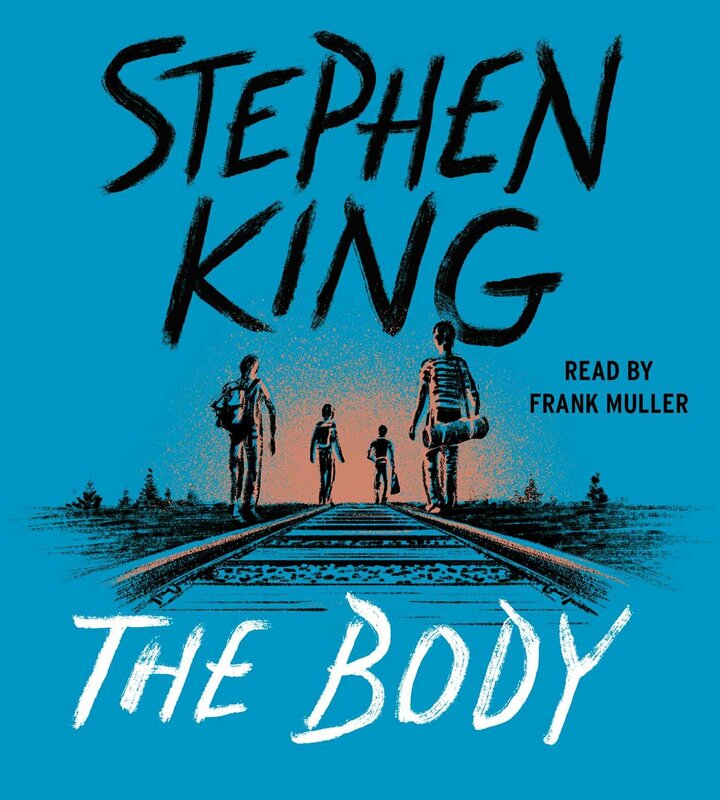 Although written earlier, when King was at the height of his horror fame, it comes after The Dead Zone, The Shining, and Cu… (no, still can’t say that one’s name again without a psychological break), and just before Christine and Pet Sematary. So in the middle of these horror stories with not exactly the most positive of messages, we have these two tales of hope and friendship. Although I’d argue “The Body” is a testing ground for ideas about childhood bonds that would come back in a big way years later in It. The brutality visited on the boys by the older kids is something that’s at the heart of Stephen King’s vision of the 1950s. Much in the same way as It explores the nature of violence between children in the Bowers gang terrorising the Losers club, here we see Ace using similar tactics against Teddy, Vern, Gordie, and Chris. It is a theme King seems to come back to quite a lot, and makes me wonder if it’s based on something he saw or experienced as a child. It has a quality not dissimilar to Lord of the Flies in showing that children have as much capacity for cruelty to each other as adults do. On the note of It, this story seems to share a lot of the same themes and character points. You have Gordie as the leader of the group with a family trauma in the loss of his brother, parents who ignore him, and the dealing with these feelings through becoming a horror author in the same way a certain Mr. “Big” Bill Denbrough would a few miles south in Derry around the same era. Vern is the very self-conscious-of-his-weight kid with good instincts and sense of adventure, similar to Ben “Haystack” Hanscomb in that spider-infested town a few miles down the road. 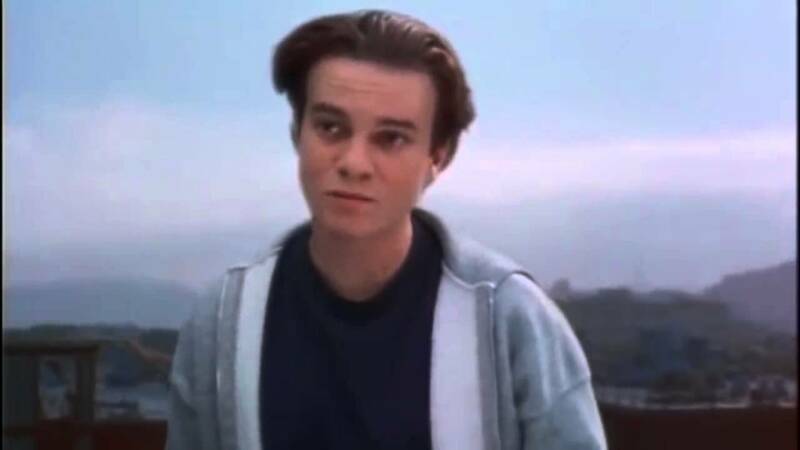 Chris, the kid with a bad reputation who just wants to be accepted and prove he’s not what everyone thinks, is comparable to Beverly Marsh, who is known for having a reputation around Derry. Finally, Teddy bears more than a passing resemblance to Richie “Trashmouth” Tozier: the glasses and smart mouth make him seem like an earlier iteration of the character. All four boys represent the Losers who faced off with Pennywise and lived to escape the sewer. They are archetypes King seems to like to reuse in stories – it’s as if he may have had friends like this growing up. Or it could be an element of wish fulfilment. Overall this is a very worthy edition to the Castle Rock canon. While as you may all know my main interest in King lies a few miles south in Derry, this main town serves as a great backdrop for the kinds of stories King tells. It’s a town where life happens, it’s not overrun by the dead like Jerusalem’s Lot, nor does it have crazy in the water like Sidewinder, Colorado. It’s a town full of people and all their hopes, dreams, and lives. Cujo – This goddamn book will not leave me alone, it’s like a Grimm but I feel like my brain is on fire. The goddamn dog and his owner are referenced briefly. ‘Salem’s Lot – There is brief reference to everyone’s favourite Vampire hotspot. 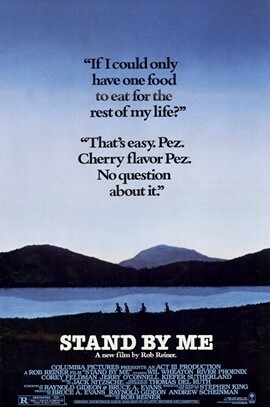 The setting for this film is key: it paints a different Castle Rock, a Castle Rock in Oregon and not Maine. While this difference in geography is important, I feel it’s making the broader statement about that fact that it’s separate from other King works. By the time this story is being filmed we already had a fair few King stories on the screen and he was becoming known as THE name in horror fiction of the moment. This is likely why his name isn’t as prominent on the poster as it would be for something Christine or Cujo…AAAAAAAAAAAAAAAAAAAAAA… as it’s going for a different emotional tone than the other films. The four leads are pitch perfect here: in an age of mostly crap performances from child actors, River Phoenix, Will Wheaton, Cory Feldman and Jerry O’Connell are a cut above. You completely believe these four are childhood friends in that very childish way of your best friends being the kids about your age that lived closest to you. It captures an element of childhood friendship better than most films do: they’re bonded by being kids who all like smoking and just hanging out. As Wheaton’s character says, they have the conversations that seem so important when you’re that age. This film makes you yearn for a childhood experience you never had but watching it you can approximate your own life to fit in with this story. It has those endless summer days where anything was possible and you had endless freetime. It’s a tale of possibility, having your whole future ahead of you and it being an unlimited series of options. Gordie’s stories, for example, are a perfect example of this tiny spark that will eventually lead to a career for him. It’s like we’re getting a piece of a much larger story that will be their lives. Final side note, this time around I put on subtitles while watching the film because I’m one of those people. I noticed that everyone calls John Cusack’s character “Denny” and all I could think of was…. Honestly, this one is the closest to the source material of any of the books I’ve covered so far. There are some cosmetic things, like Gordie going back to Castle Rock years later and seeing Ace begging for change, or the addendum where the kids are harshly beaten by the teenagers after being warded off the body. But given the brevity of the story, very little is changed. Both materials capture the nature of the story in roughly the same way. Overall: I have to go with the film, I grew up with this one and it makes me think back to being 10 and having those endless summers.